This is an eye-catching top for all the right reasons! It has an abstract print which is so modern and classy with its rich colour tones of cream and black. 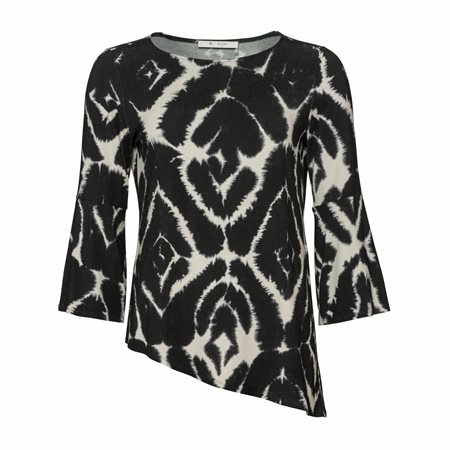 This top has been created with a diagonal seam, flared cuffs and lightweight material making it a joy to wear.